Before you start your weight loss journey, the first question you have to ask yourself is, what is my ideal weight? There are several factors that will determine your ideal weight, including your gender, height, age, and most importantly, muscle-to-fat ratio. 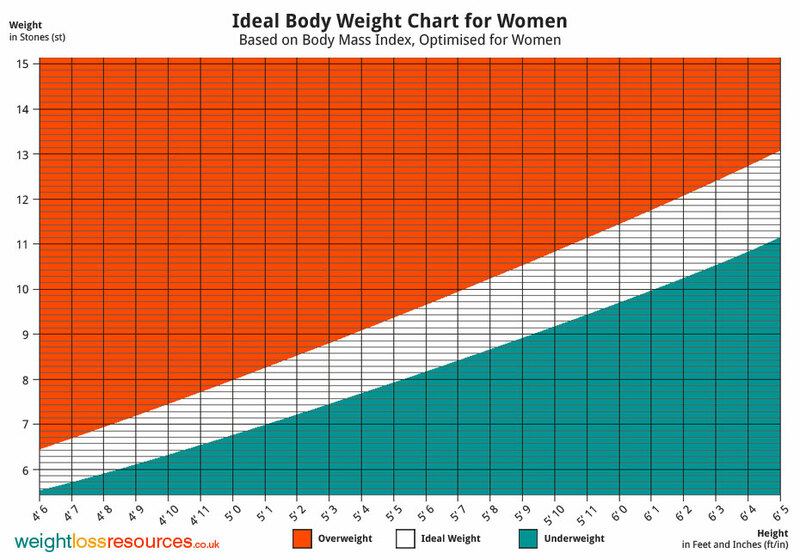 If you are able to measure your body fat percentage, then please read about the difference between body weight and body fat. 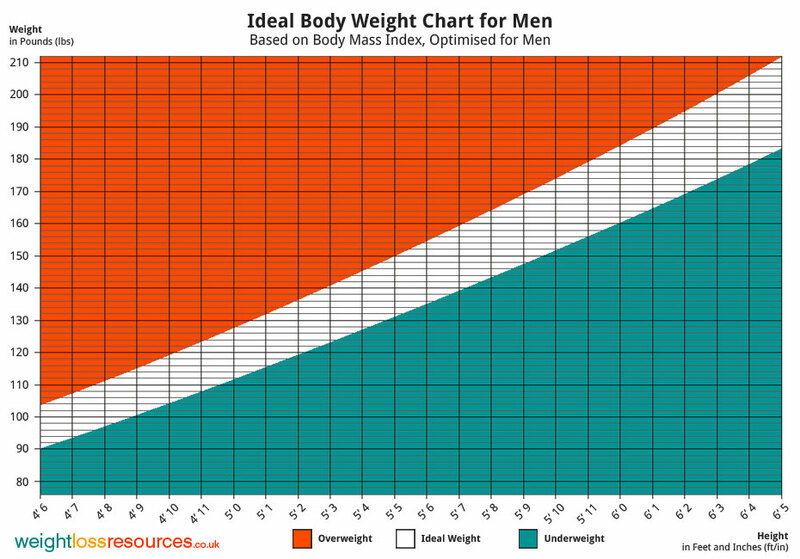 Otherwise, keep in mind that these charts should be used as a general guideline, just like the charts for BMI for men and BMI for women.